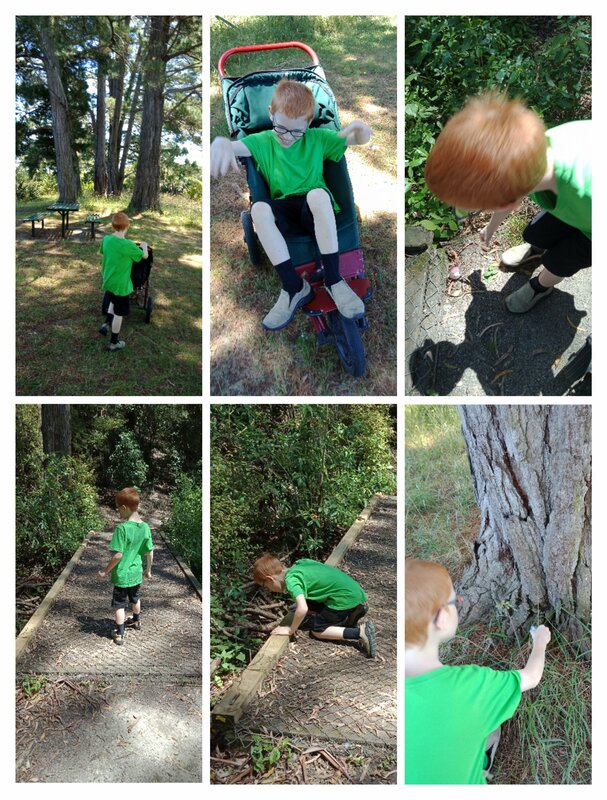 Ryan is 9yrs old and has ASD, ADHD, Epilepsy and Intellectual Disability. 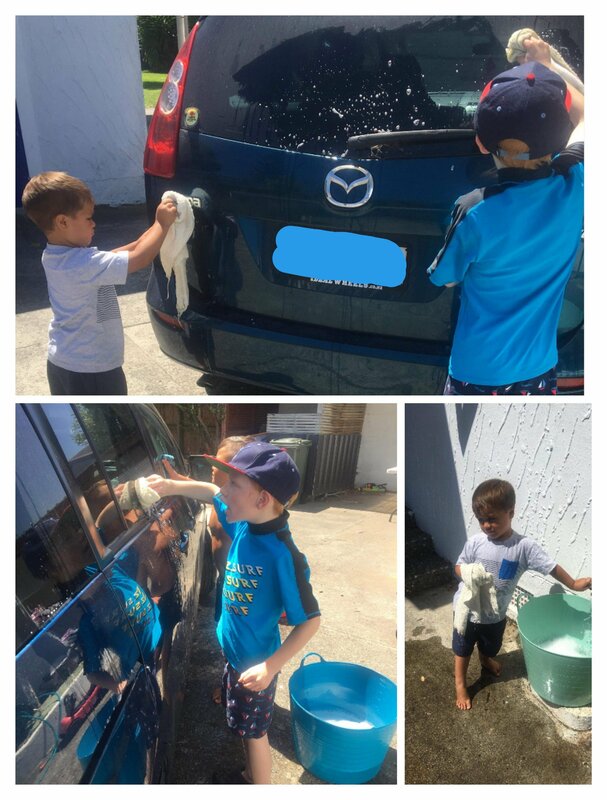 With a love of washing machines and spending time with family… this is his journey! Ryan had another good nights sleep and was very pleased when he remembered Julie was picking him up this morning. After he left Stefan and I did nothing. Seriously, nothing. We actually just sat and blobbed for a couple of hours. Watched some TV, chatted, but it was nice to have no plans and a quiet house (the teenagers don’t appear until lunchtime most days). Love it! Ryan looked like he was having a great time in the photos! We went for a walk at Westmere Lake and that was where we found today’s geocache. 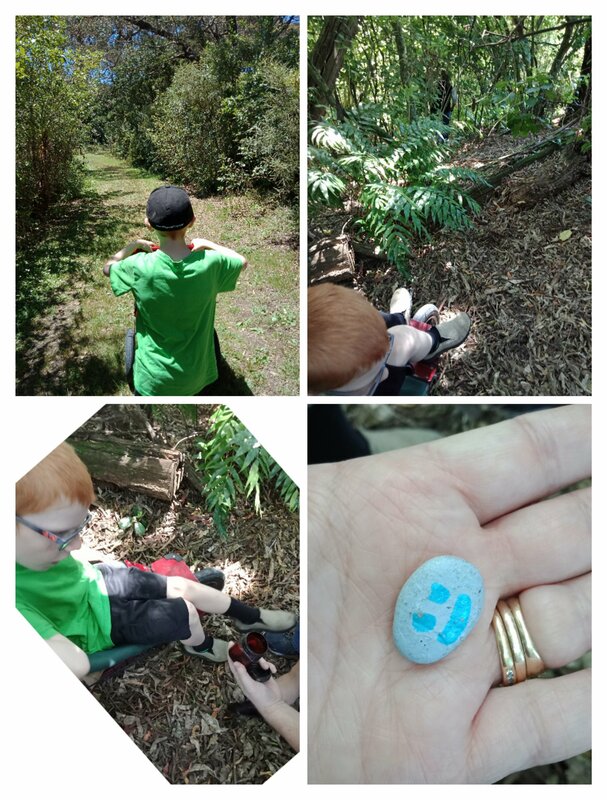 Up and down hills and through bush, and when Stefan found it we discovered it had a painted smiley face in it that I painted 2 years ago! So we added a new smiley face rock, signed the log, put it back and carried on our walk. Ryan walked, pushed the pushchair and had rides in the pushchair, changing his mind every 100m or so. One time he jumped in and the pushchair rolled back and I had to chase it. Ryan was laughing with his hands in the air (see photo) crazy child who has no fear! Ryan found rocks and hid some too. And stopped to check if he could see a troll under the bridge – his idea. Home for his usual shower and bath routine before French toast for dinner. We didn’t get a chance to take his go kart out today so he had a play in the lounge lol. 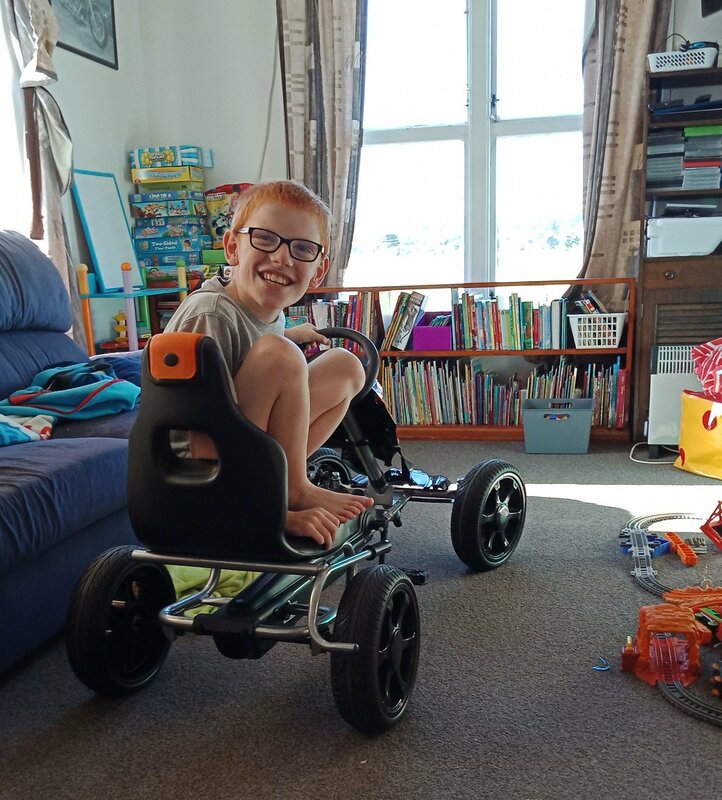 I need to work out how to add some cushioning to the seat, as he has bruises on his back where his bones have bumped the hard plastic seat, poor kid needs some padding before we take it out for a big ride again.